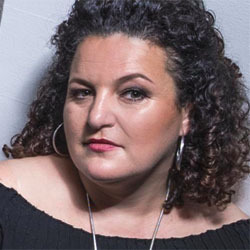 BAFTA nominated producer and best selling author, Farah is a champion of new talent. She is currently producing The ABC Murders for BBC and Amazon. Her most recent feature films include Netflix Original Irreplacable You with Gugu Mbatha-Raw, Michiel Huismann, Christopher Walken and Steve Coogan and Danny Huston’s The Last Photograph. She is the founder of the BAFTA Rocliffe New Writing Showcase. Farah has produced comedy content for the White House (under the Obama Administration).